Latest Update: FUTA Post UTME Result is Out. The Federal University of Technology, Akure (FUTA) post UTME and direct entry screening exercise applications form for the 2018/2019 academic session is out. This post contains the requirements and procedure on how to obtain FUTA post UTME form. 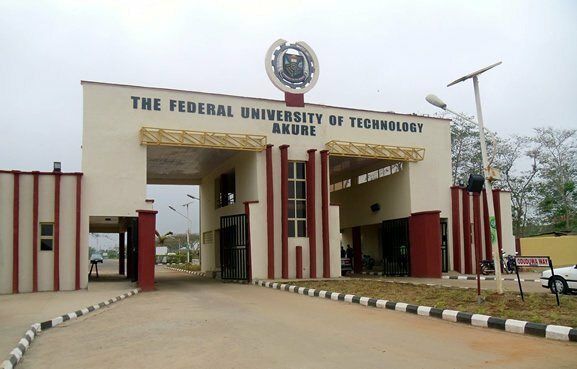 The management of the Federal University of Technology, Akure (FUTA) has released the Post-Unified Tertiary Matriculation Examination (UTME) and DIrect Entry screening exercise application form for the 2018/2019 academic session. The online registration for FUTA Computer-Based Post-UTME screening exercise will commence on Wednesday, 11th July, 2018. Recommended: FUTA Post UTME/DE Screening Past Questions & Answers [FREE!]. Thursday, 9th August, 2018 MOP-UP/DIRECT ENTRY. The venue of the screening exercise is the FUTA Digital Resource Centre, “Obanla Campus”, The Federal University of Technology, Akure. Candidates are NOT allowed to bring cell phones, I Pad, Walkman, wrist watches or any other electronic gadget and extraneous materials into the screening hall. Pls Sir Im From Adamawa State My Jamb Chooce Is Futa Con I Have Addimission? Comment Text* is there DPP in futa? Pls Sir, during my jamb registration I computed my waec result which I did in 2017, pls do I still need to uppload again before writing the post utme? Pls Sir I didn’t see any mail indicating utme exam, time and date on my e-mail address but after have completed my registration, I was given the print-out, hope it does not mean anything!! Pls can someone sit for FUTA post utme first and upload waec result later? pls can anyone tell me the exact time 4 for the engineering students? try another corresponding banks of etranzact. the form is out but the portal isn’t registering for me… However, I am told someone has succeeded in registering his.